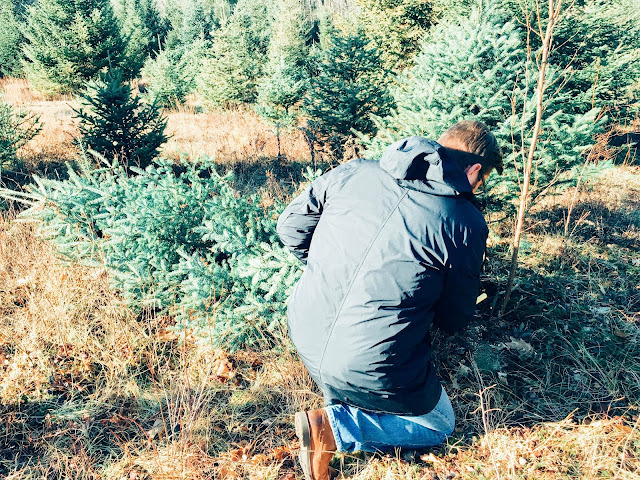 The best way I know to get in the Christmas spirit and kick off the season is to spend a day making the journey to the tree farm to cut down a fresh pine to decorate. This a family tradition that we've been doing my whole life. For so many years this meant hopping in the car to find the most scenic and charming farm we could find. Usually this meant driving at least an hour away but, that was part of the fun — the journey! 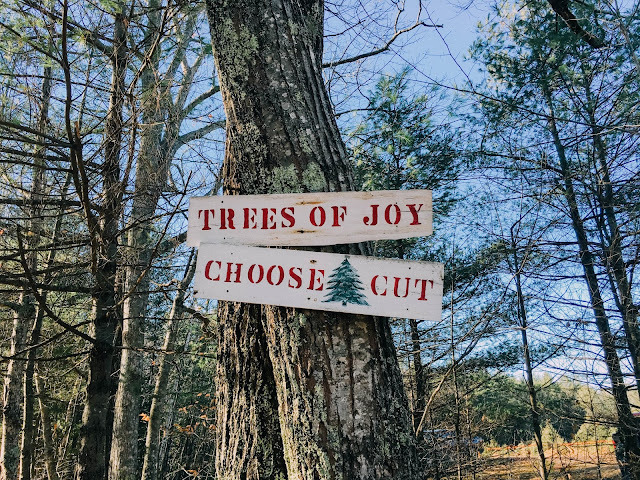 What's ironic is that since moving to Maine, there is now a tree farm just at the end of my Dad's street (which, yes, truly is called Memory Lane). 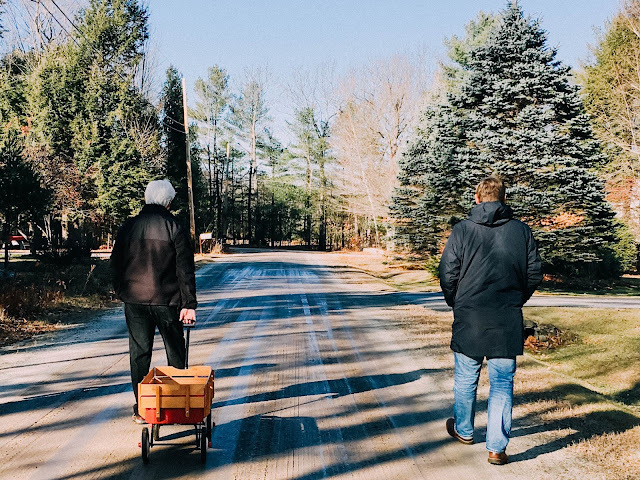 So now and for the past few years the journey to get the tree now looks like this: blue skies, dirt road, wagon in tow. 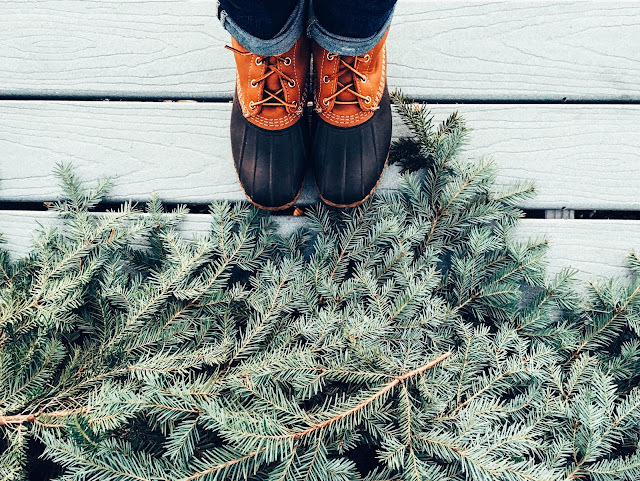 It's so beautiful to see how traditions ebb and flow throughout different seasons of life. 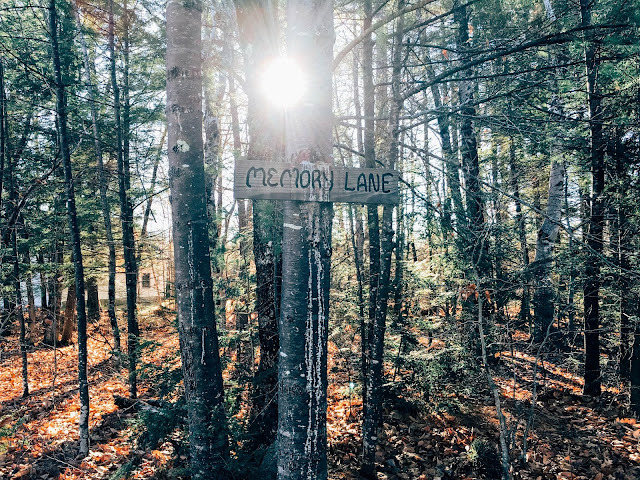 Bridgton, Maine has become a new home base in this chapter of our lives. It has been exciting to explore a new state and a new way of life when we visit. 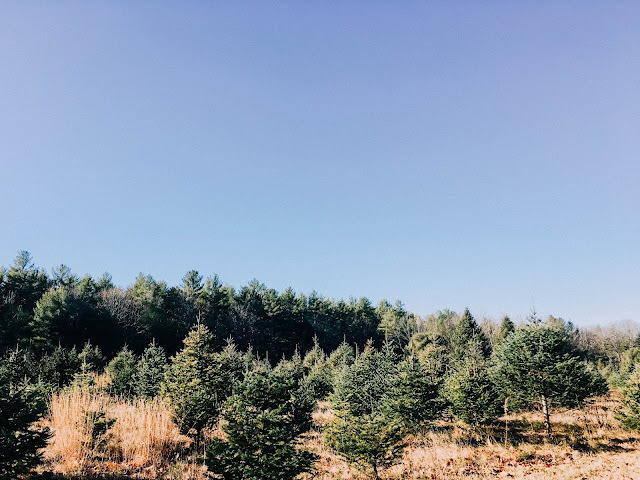 It's the biggest breath of fresh air to wake up with a view of the mountains, a sprawling field for a back yard and a much slower pace. There is just so much natural New England beauty every where you go and every where you look. 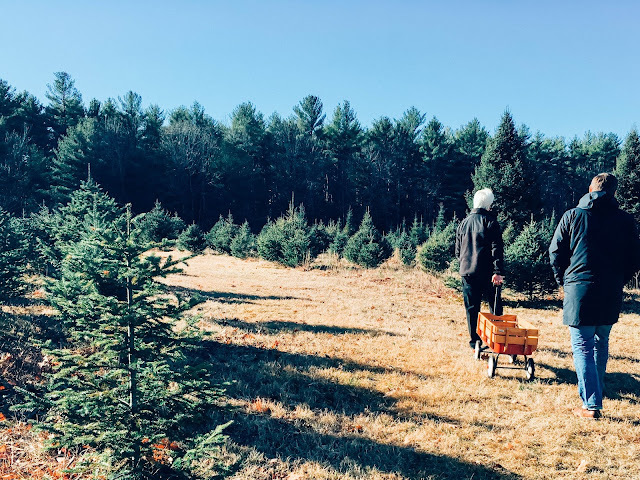 I always feel like I'm brought right back to my New Hampshire roots, but in an even deeper sense Maine has a simpler and more organic way of existing. 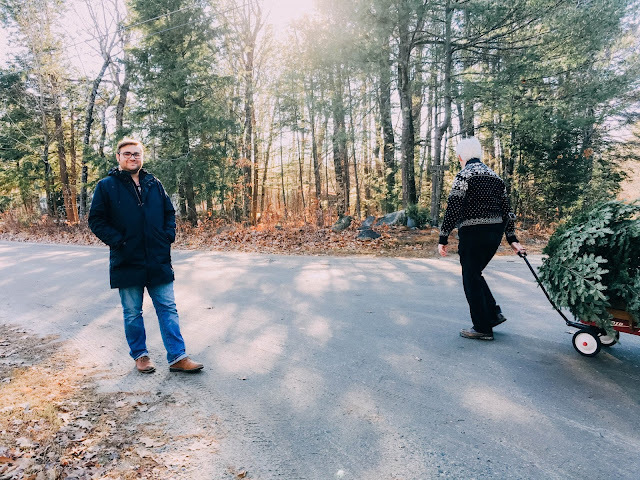 When we're en route for a visit to Bridgton, I always get a buzz reminiscent of the glory days when February vacation was a thing and we'd be headed north for a week long ski trip. Those were the days, right? Ah but, these are "the days" too. Even though we're often up for just a weekend and the inevitability of work on Monday is reality, the magic of this place still exists and makes it easy to live in the moment to truly take it all in. 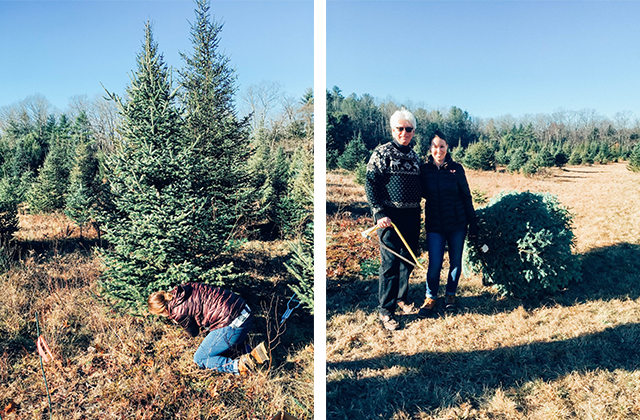 Cutting the tree in Maine has lead to making new memories with an old tradition. As time passes I'm eager to see how we carry this on to our own kids one day and share it amongst three generations. For now, it's special to share it with my own Dad and of course, Derek. It's amazing how things come full circle in life. 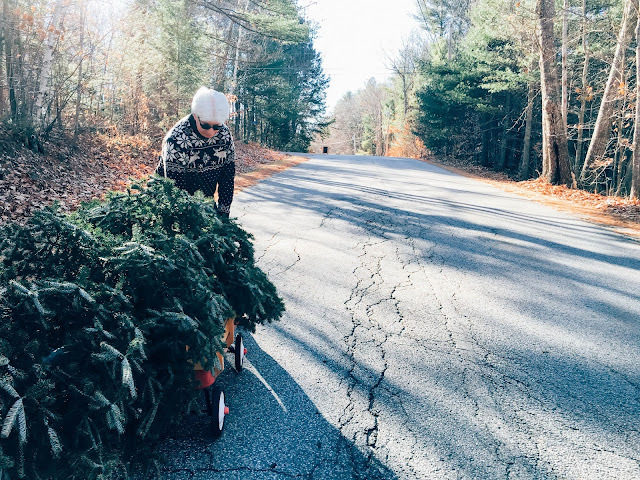 From making long trips for the sake of the journey, to now pulling our tree in a wagon from the end of the street — it's so fulfilling to see this tradition evolve through so many years. 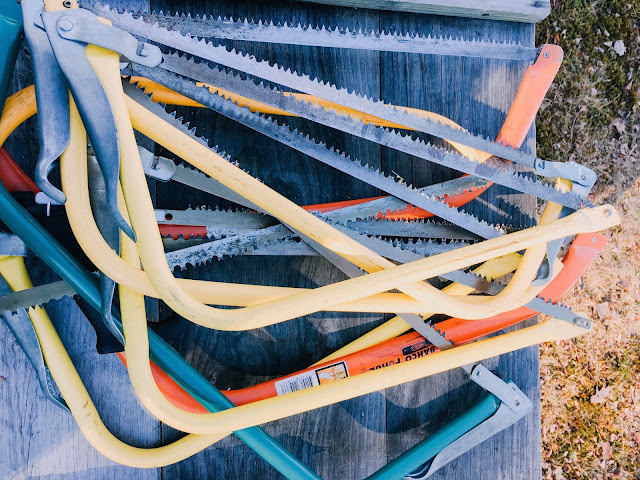 Going from one extreme to the other keeps it all so alive. 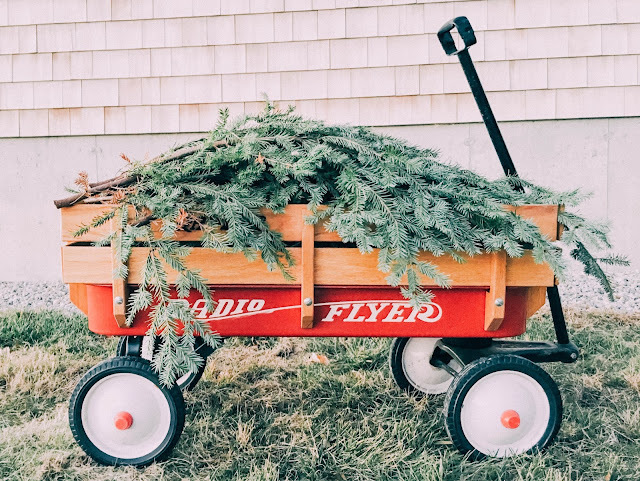 What Christmas traditions do you celebrate year to year? How have they carried through life as it ebbs and flows? Would love to hear. Enjoy these next few weeks before the big day finally arrives!